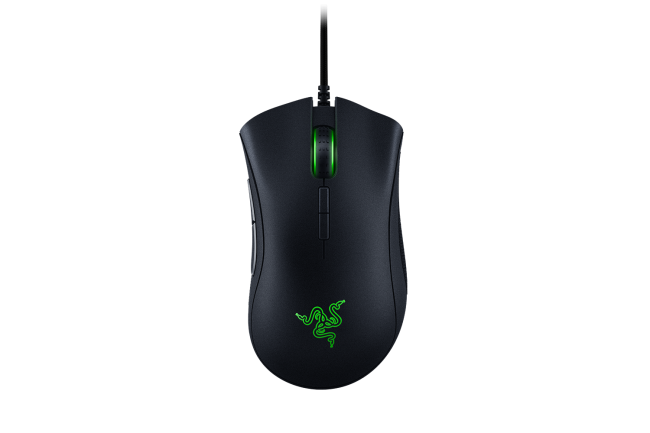 Razer’s DeathAdder gaming mouse has made its rounds around pro-gaming leagues and tournaments. It’s been one of Razer’s most touted gaming peripherals, being accepted for its simplicity, comfort, and most importantly its accuracy. Razer thought it was about time for an upgrade, announcing the new Razer DeathAdder Elite on September 27, 2016. What’s new with the latest version of the DeathAdder? Let’s dive deeper with the review of the Razer DeathAdder Elite! 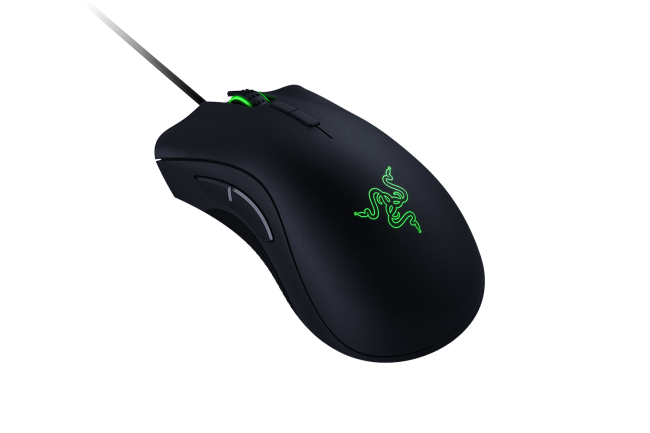 The Razer DeathAdder Elite sticks with the well-established DeathAdder silhouette. It sports a right-handed build with two rubberized side grips and two additional buttons on the thumb side on of the mouse. LED’s reside within the mouse wheel and the Razer logo along the back. New with the DeathAdder Elite’s silhouette is the addition of two buttons behind the mouse wheel, making it a seven-button mouse. However, this new DeathAdder build goes further beyond than the addition of two buttons. Razer overhauled the internals with the DeathAdder Elite, adding new mouse switches and a brand new optical sensor. The new Razer Mechanical Mouse Switches are a product of a collaboration between Razer and the well-established mouse switch supplier, Omron. These new switches are rated for a durability of up to 50 million clicks. The new optical sensor sets a bar for “eSports-grade” touting true 16,000 DPI and tracking at 450 inches per second. The DeathAdder Elite has a great right-handed build that should satisfy both palm and claw grips. The protruding hump near the rear of the mouse gives plenty of real-estate for the resting of palms. The rubberized grips have a lot of traction which allows for great ease in gripping. Take the DeathAdder Elite’s make and add in the fact that it’s extremely lightweight and you have yourself a mouse that is both comfortable and easy to grasp. I consider myself to be a sort of palm-claw hybrid, resting the bulk of my palm on my mice while maintaining a firm grip with my thumb and pinky. The DeathAdder Elite was quite easy to handle thanks to those grips, allowing for crisp aim control. Its light weight and generous palm surface allowed for efficient palm resting and easy gliding. It is a truly great ergonomic design. My longer Gears of War 4 start-to-finish horde runs did not tax my right hand at all. It could be the result of a standard gamer’s dexterity or it could be because of the mouse’s comfortable design. Razer’s DeathAdder Elite made it hard to tell. The buttons on the DeathAdder Elite were as responsive as responsive gets. Clicks are satisfying. The mouse wheel’s grip was as easy to manage as the mouse’s very tactile side grips. The overall texture of the mouse was a little slick for my liking but it was a cooler surface than most. I don’t get sweaty palms but I can only imagine this surface doing justice for those “sweatier” players.